The Northern Chamber Orchestra is delighted to announce that Matthew Sharp has been appointed its new Artist in Association. Matthew Sharp is not only recognised internationally as a captivating classical artist, but also as a dynamic trailblazer who has worked with an extraordinary number of major artists, ensembles, composers, theatres and festivals. These include Opera North, Nicola Benedetti, Sir John Tavener, Matthew Bourne and Carol Ann Duffy. 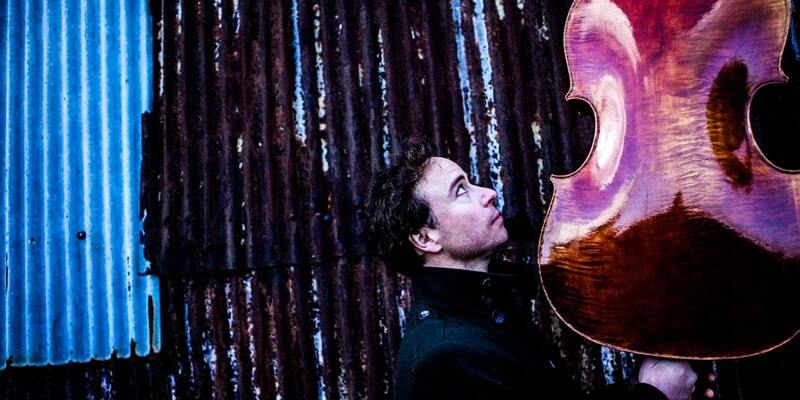 He has recently released a critically acclaimed recording of Hans Gál’s Concertino for Cello and Strings with the English Symphony Orchestra, conducted by Kenneth Woods. Sharp, called a “Virtuoso of the Arts” by The Times, is an “extraordinary cellist, virile baritone [and] compelling actor” (The Daily Telegraph) and has performed as soloist many times with the NCO. He also works alongside the NCO’s Education and Outreach team, most recently leading a workshop with pupils from Greater Manchester schools on an interpretation of Aaron Copland’s Appalachian Spring. By taking up the position of Artist in Association, he joins a roster of world-class musicians affiliated with the Northern Chamber Orchestra; Artist in Association Chloë Hanslip (violin), Vice-President Martin Roscoe (piano) and President Raphael Wallfisch (cello). Matthew Sharp’s position as the Northern Chamber Orchestra’s Artist in Association begins in the 2018-19 season, performing at Macclesfield’s Heritage Centre on Saturday 13 April 2019 as baritone for a selection of Schubert songs, then as cellist for Schubert’s String Quintet in C major. Tickets for this and the whole of our 2018-19 season go on general sale on Monday 2 July.